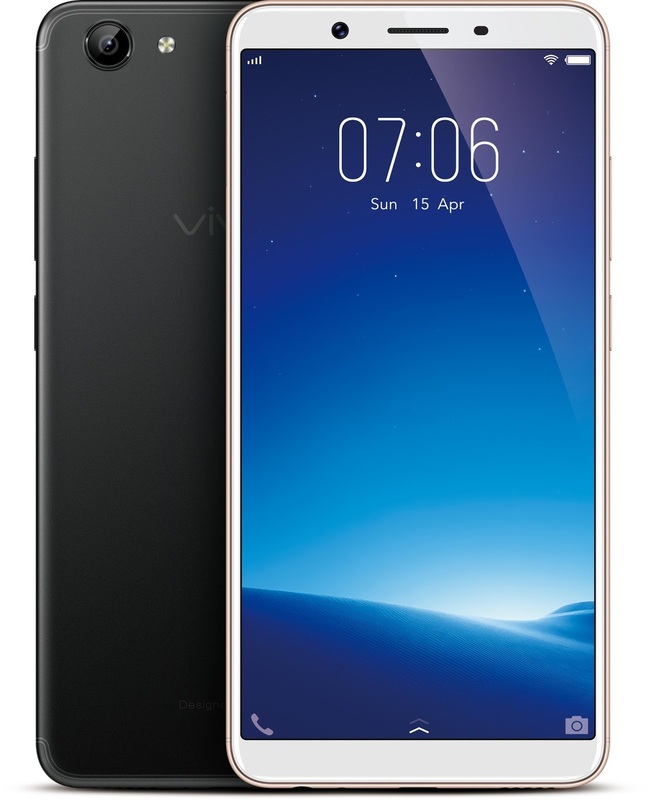 Vivo, the global premium smartphone brand, today launched the Vivo Y71 with 18:9 FullView Display and super narrow bezels, which provides an impressive screen-to-body ratio of 84.4%. Priced at Rs 10,990, the smartphone will be available in Gold and Matte Black colour across all offline stores from 14th April, 2018 and will also be available online on the Vivo E-store, flipkart.com, amazon.in and paytmmall.com from 16th April, 2018. The new Y71 offers 18:9 FullView™ Display with super narrow bezels which enhances the viewing experience for consumers. Compared with standard 16:9 aspect ratio phones, the Y71 displays 12.5% more content in a compact and lightweight profile, suitable for single hand operations. Designed with a new high polymer nano-blasting technique, the smartphone feels more ergonomic and provides a better grip for all day usage. Y71 comes packed with Face Access which intelligently scans the facial features and unlocks the device. Intelligent use of Y71 facial recognition technology also improves other aspects of user experience, its smart low volume also recognizes when you are looking at the screen and intuitively lowers the volume of message alerts, incoming calls and alarms, keeping disruption to a minimum. Y71 is equipped with a 13MP high-definition rear camera with PDAF which enables capturing memorable moments with ease. The camera optimizes lighting on the subject’s facial features to take vibrant, crystal-clear photos even in low light conditions. The 5MP selfie camera comes equipped with an AI Face Beauty feature, allowing users to take clear and detailed selfies in any lighting condition. The AI Face Beauty feature identifies gender, age, skin tone and texture to apply a range of beauty effects, to enhance your natural beauty. Over time, the camera analyzes your face and photography patterns to further enhance the selfie results. The smartphone is capable of handling multi-tasking with ease due to 3GB RAM and a powerful Qualcomm processor, which provides an enhanced user experience. The smartphone performs defragmentation and memory optimization tasks to offer a smoother experience to millennials who want more. The Y71 features 3360mAh battery and Android 8.1 OS optimization, further increasing its energy efficiency. The latest Vivo Smart Engine further improves the battery performance by providing additional power management for prolonged usage. Y71 also takes multi-tasking to another level with the Smart Split feature which lets users work on various tasks, simultaneously, on a bigger screen.